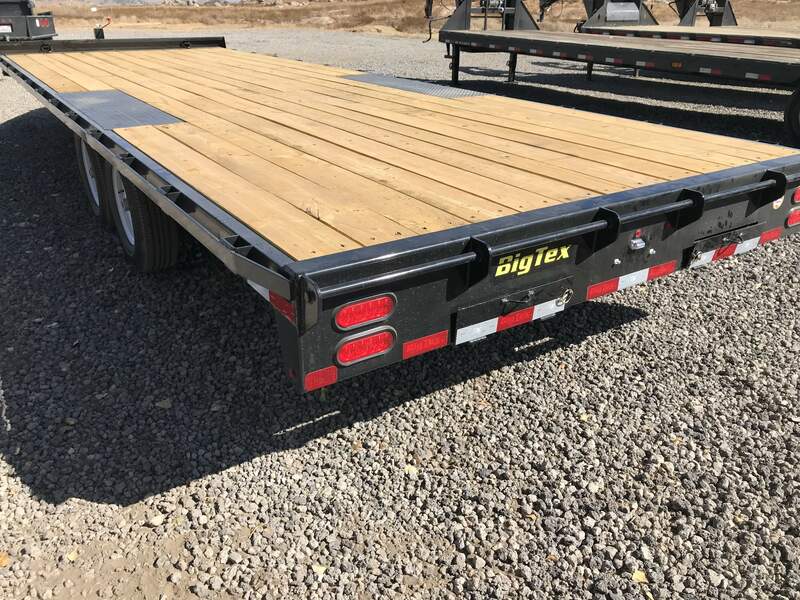 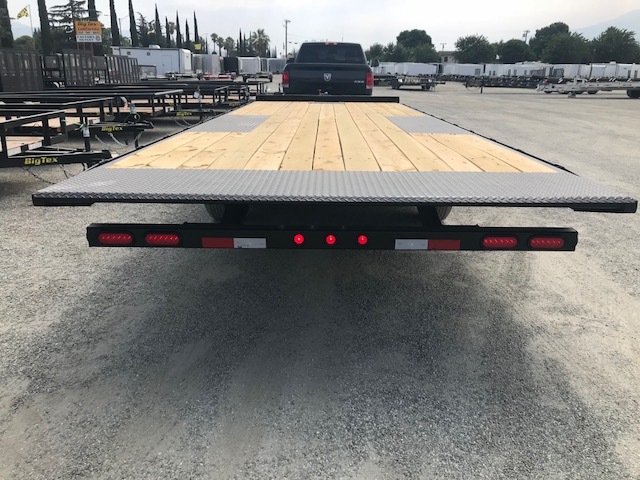 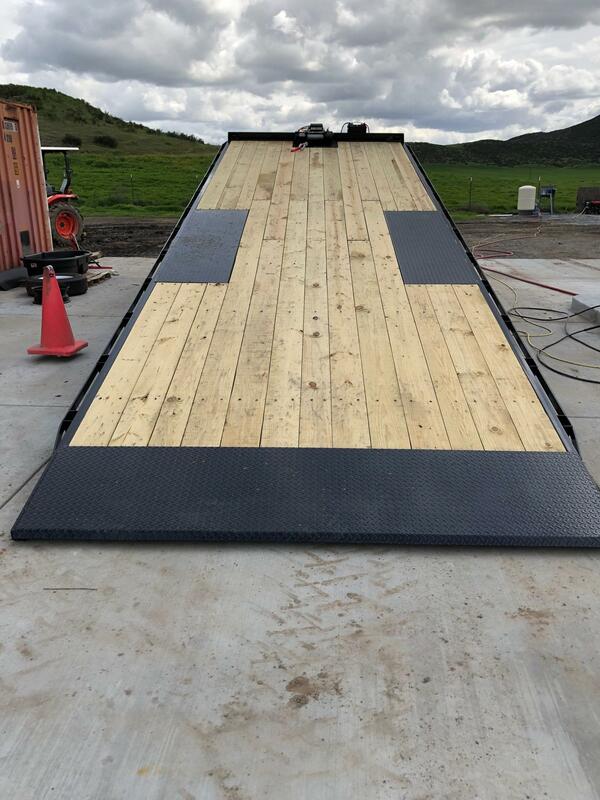 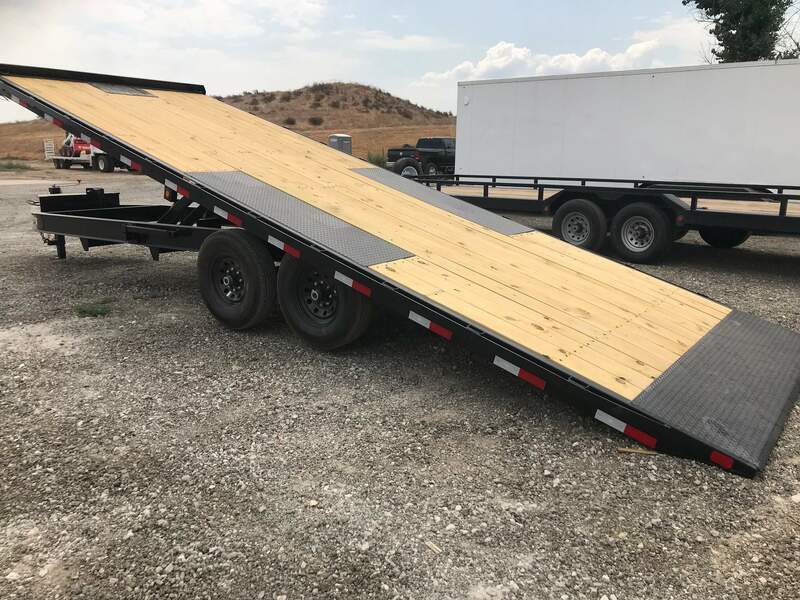 Big Trailer Rentals offers bumper pull deckover and standard flatbed equipment trailer rentals from 21 feet to 26 feet in length. 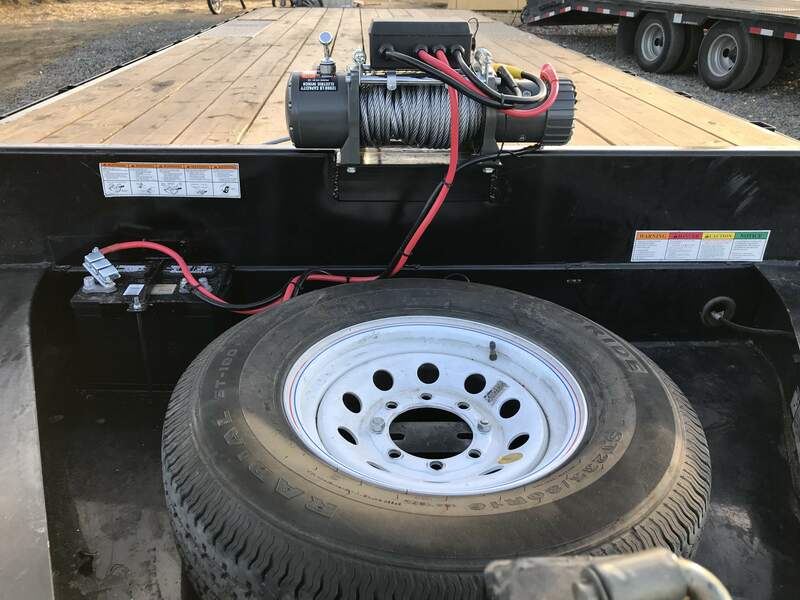 Most of our equipment trailer rentals range from 14K lb to 20K GVWR but have been de-rated to 9990 lbs so that our customers can pull them legally with a class C driver license. 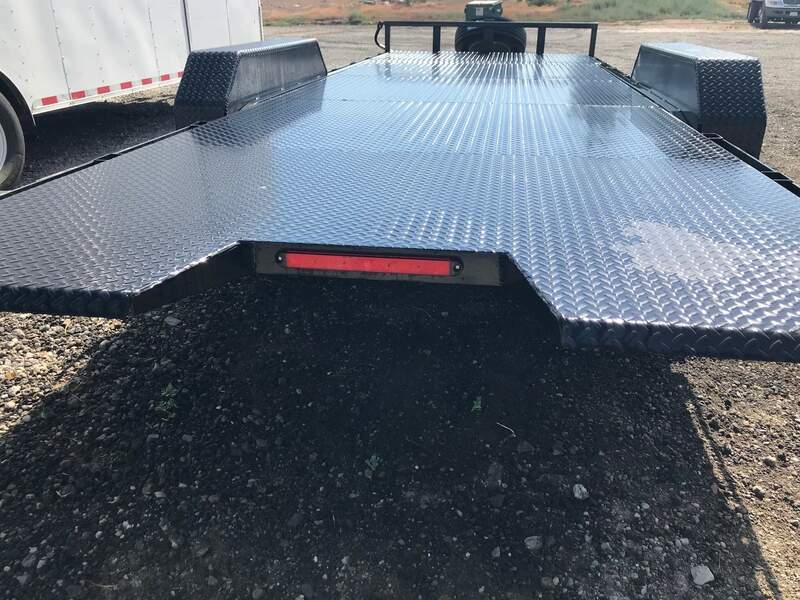 The maximum capacity for these trailers is between 10K to 15K as long as the weight on the sticker is not exceeded. 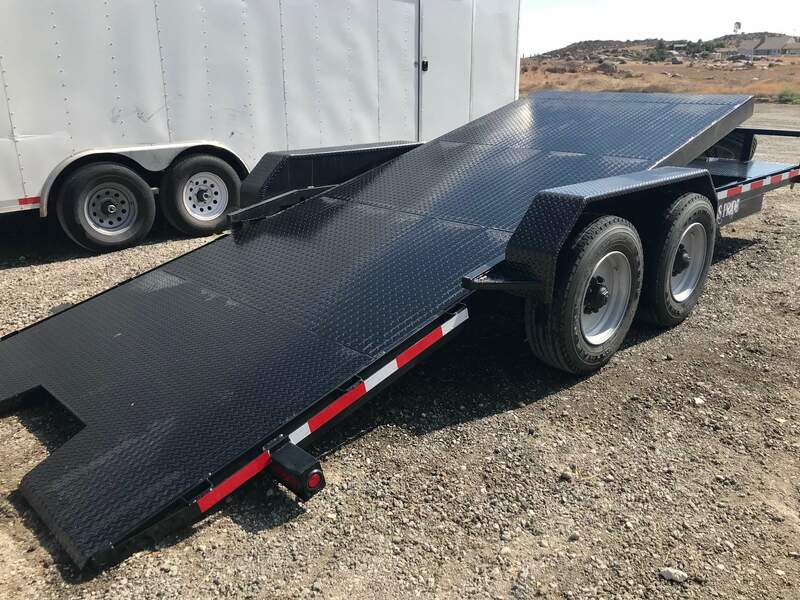 These equipment trailer rentals are ideal for hauling trucks, cars or heavy equipment, supplies, etc.